She offers types of combination therapies that are only available in Los Angeles and in New York. Her facials are designed for instant results without side effects and are especially designed for Indian skin types. 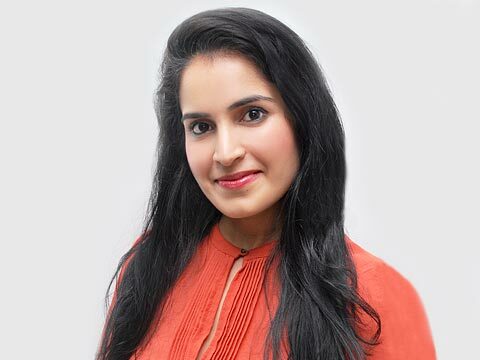 She is the renowned Celebrity Dermatologist Dr Kiran Lohia, who made a niche for herself into aesthetics market by offering exclusive treatments and therapies like the New York facial, Power facial and the Head to Toe treatments loved by celebrities and socialites for lasting impactful result. Sharing her opinion over Indian aesthetics market, Dr Lohia shared some undisclosed facts about her business plans with Wellness India. What are the driving factors of growth of Med spas and laser treatments in India? Which promotional activity do you opt to promote your centre in the aesthetics market? How often do you revive your marketing and promotional strategies? Though, we do not do much of promotional activities. However, primarily we do a lot of social media promotion to raise awareness about common skin issues and their treatments. So facebook, twitter and instagram are very important to us. How do you see Indian Aesthetics market in the years to come? How much volume of growth do you expect in this category? The aesthetics market will continue to grow and blossom and I expect 15-20% growth annually. Only an infitesmal proportion of India’s population uses medspa services - so there is a lot of opportunity for growth. Elaborate on your revenue model? We offer the highest quality and latest cutting edge care for dermatology, aesthetics and trichology. So we focus on quality, not quantity. Our goal is customer satisfaction, not revenue. What are the emerging challenges of laser treatments and Med spas in India? How do you overcome it? The challenges come from clients who come to us after taking services from less standardized and lower quality centres and have experienced poor results or side effects of the treatments. Then counseling and education to them becomes very difficult because they believe it’s the same everywhere. Unfortunately, the client does not understand that what they save on price of the treatment, they lose it on compromising on the quality and results. For example, many people go to the cheapest rate of laser hair removal. Unfortunately, those centres may have Chinese lasers machinery or they may have good lasers, but they use it improperly or for less time to make way for more patients. Hence, results are severely diminished and people wind-up taking double sittings for one service. Thereby, offering quality in a price sensitive market is quite complicated. However, I think Indian clients are realising more about the fact that the little initial savings done by them ends up more expensive and time taking service to them in the long run. Any plans to collaborate with emerging brands or companies to lift your current market position in the Indian aesthetics business? We are always open to new opportunities. Which ongoing trend do you witness in the laser therapy market at the moment, holding high demand and successful results? Face lifting with Ulthera. It uses sound waves to give you a non-invasive face lift in just one sitting that last for years. It’s extremely effective, USFDA approved and super popular. We have it here in my centre and it is amazing. What kind of innovation are you coming up with to tap the biggest pie in the dermatology therapy market? We are really focusing on laser hair removal for fine hairs, resistant hairs and for those with PCOs (polycystic ovarian syndrome). We have invested in the latest technology from the US to specifically target this segment with fantastic results and half the sittings. We are opening our second clinic in South Delhi with plans to open more across Delhi-NCR in India. Sevenseas spa to open first outlet in Pune.. Essential Tips for Aspiring Author-preneurs..